We are excited to announce that Go Jauntly version 2.0 has officially been released on the App Store today! In partnership with Transport for London, we've developed a variety of new features and created brand new walks to make it easier than ever for you to incorporate walking into your daily life. Go Jauntly walking map to help you find your way to any Transport for London station, Cycle Hire station, or curated Go Jauntly walking route. Outside of London, you can easily walk to any Go Jauntly route or map point. Enhanced accessibility features including station accessibility information, walking times, step by step directions, London pollution levels, and more. New Walk London routes including The Capital Ring and The Jubilee Walkway. New bottom navigation to make it easier to discover new walking routes, create your own routes and access the Go Jauntly walking map. Last month, Go Jauntly was selected as the winner of the Active Travel Civic Innovation Challenge spearheaded by The Mayor Of London and was awarded funding to develop new features to encourage active travel. TfL and the Mayor of London are working to make London the world's most walkable city, with the goal of one million extra walking trips taking place each day by 2024. With the addition of the Go Jauntly walking map, we hope to encourage more walking journeys and help the city and people achieve that goal. 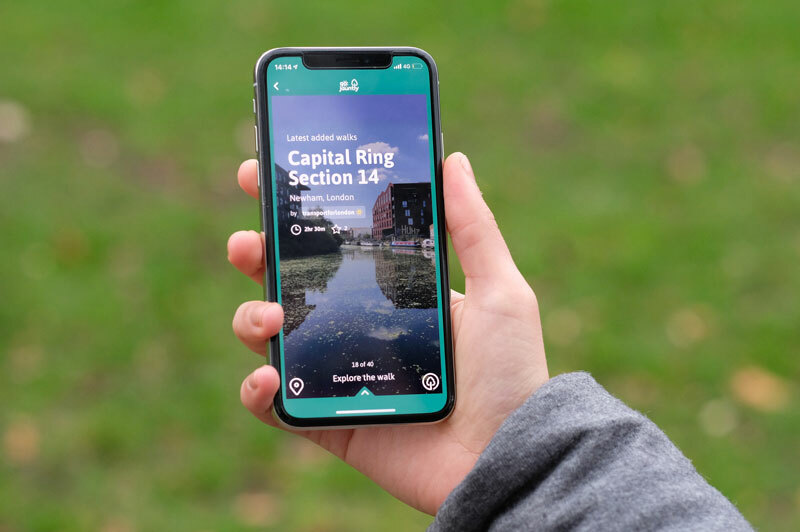 If you are ever in London and want to explore some beautiful parts of the city, check out the new Capital Ring and Jubilee Walkway collections. The Capital Ring is a circular Walk London route made up of 15 easy-to-walk sections between Woolwich and Beckton. In total it covers 78 miles (126km) of open space, nature reserves and more. 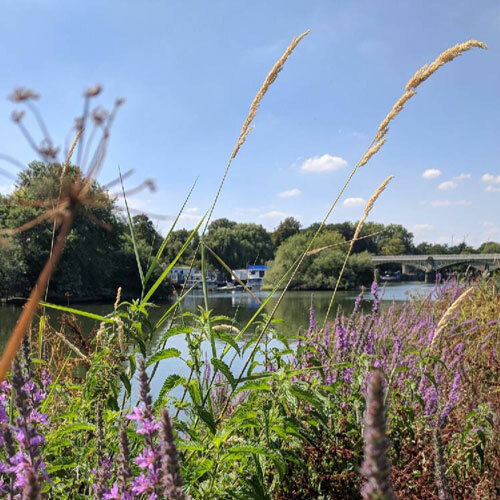 Some of our favourite sights include: Eltham Palace, Beckenham Place Park, Grand Union Canal, the views of London City Airport and The Woolwich Tunnel. This 15 mile-long Walk London route consists of five circular sections and includes some of London's most iconic landmarks such as The Houses of Parliament and Tate Modern. Our favourite gems include: Lincoln's Inn Fields, The Barbican, Royal Opera House and the green spaces and old buildings around Bloomsbury. So, get out there and try a new walk this week. Whether it’s a part of your daily commute or a weekend jaunt through some of London’s green space, the fresh air and exercise can work magic. We hope you like the new features as much as we do! Feel free to drop us an email with your thoughts. Lots of love from Hana, Steve and the team at Go Jauntly.